When you have one or more food allergies, it can be extremely challenging to find food that you can safely eat AND that tastes good. Over the past four years, Frans (who has celiac disease) and I have tried numerous items by several brands and finally found a few favorites. But, we are always on the lookout for more. Plus, I found out a few months ago that I am now allergic to dairy and intolerant to gluten (more on that later). With all that going on, we need as much help as we can get in finding foods our family can eat together! That’s why I’m super excited to attend the Gluten Free & Allergen Friendly Expo next month as one of their official bloggers! 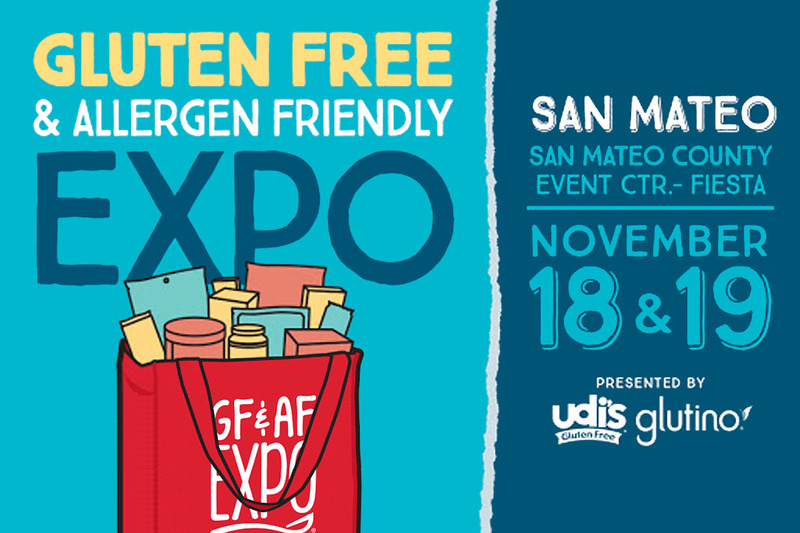 the On November 18th and 19th, the Gluten Free & Allergen Friendly Expo will be at San Mateo Event Center right here in San Mateo, CA. There are going to be some 90 exhibitors including Udi’s, BFree, Bob’s Red Mill, Earth Balance, Glutenberg (Frans can’t wait to visit this one since they produce one of the few beers he can drink), Glutino, San-J, and so many more. Most of those brands we already use so I’m looking forward to finding out what other items they offer. As for the other brand booths, I’m hoping there will be lots of samples to try to see if we like their products too. Of course, it would be even better if you were there too! 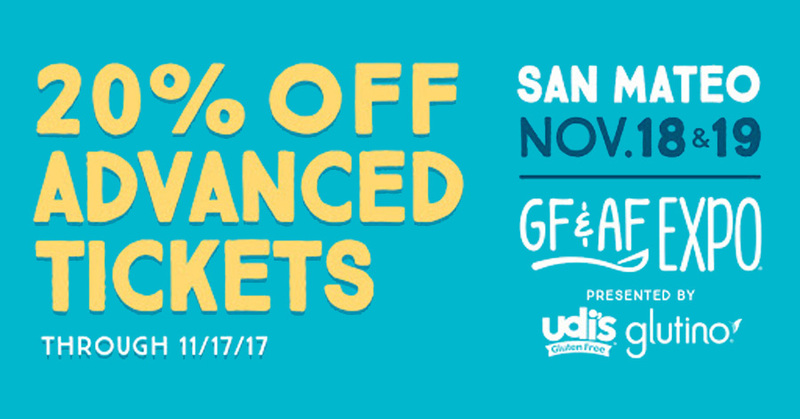 Tickets are now on sale and, if you use the code ADVANCE through November 17th, you can save 20% off each ticket! Here’s my referral link if you’d be so kind to click through here to order 😉 But, there’s more so keep reading after the event info. Parking is $12 a day. Park in the East Parking Lot and enter through Gate 7. If you need a map to the Fiesta Hall and parking lot, click here. Don’t forget to use the code ADVANCE to save 20% (valid through 11/17). I told you there was more so here it goes. I have four tickets to the Gluten Free & Allergen Friendly Expo in San Mateo to give away! Two winners will be chosen and each will receive a pair of tickets (one for you and one for a buddy). Enter below! I was provided with a complimentary weekend pass to the event. All opinions are my own. Then they’ll love this! I was looking at photos from previous events they had and there were so many GF samples!!! My mom and sister have celiac disease. Glad to see such an event exists! I have an allergy to mangos.